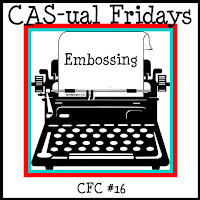 This week's CAS-usl Fridays challenge is embossing - heat embossing, dry embossing, or embossing folders. 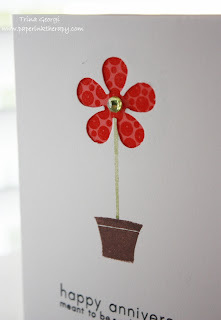 I punched out a flower on the front of the card, and then added cardstock to the back of it (inside), which I had stamped with an image, and heat embossed. You can't really tell on the first picture, but here's another picture showing the score lines I made above, and below the sentiment. 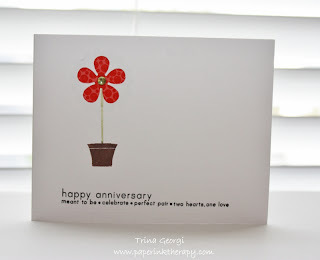 Awesome card!! 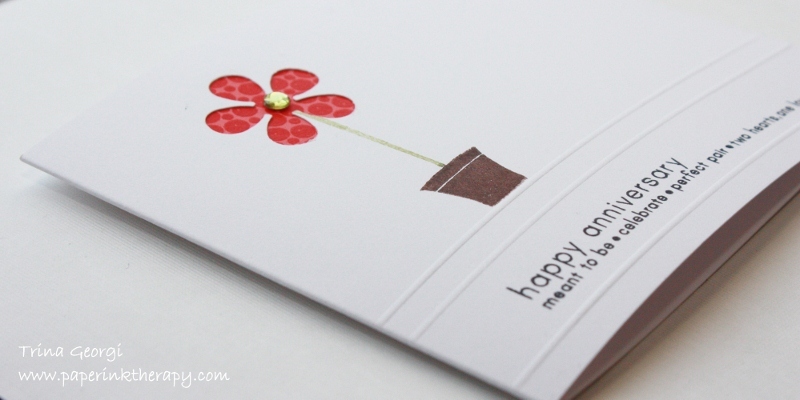 I ADORE your flower and especially love how you have layered the embossed paper behind it, that is totally clever!